In early March, global health leaders cheered as Liberia announced it had zero cases of Ebola. After weeks with no new cases, however, the Liberian government confirmed on March 20 that a patient had tested positive for the disease. 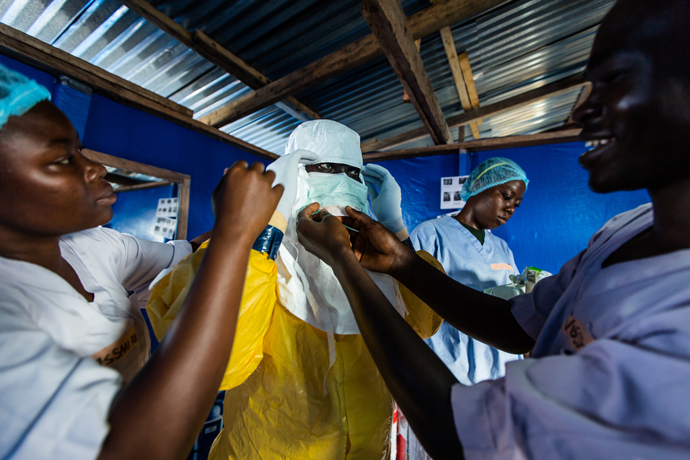 With the ongoing possibility of future Ebola cases, now is the time to build momentum toward a stronger Liberian health system that can stop the disease in its tracks before it turns into another large-scale outbreak. That’s where frontline Liberian health care workers Dorbor Dennis and Richard Mulbah come into the picture. 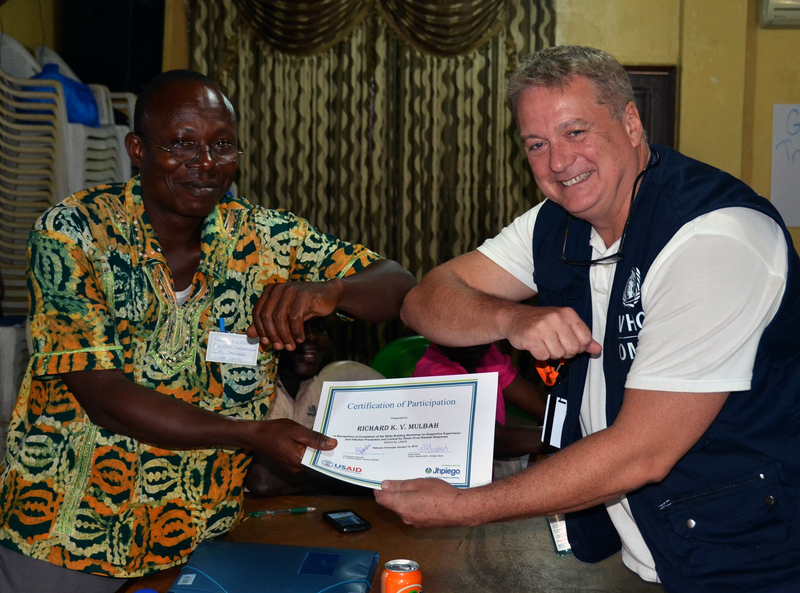 Over five days in February, Richard and Dorbor were trained to become experts in the critical skills in infection prevention and control (IPC) that all Ebola-fighting health care workers need to stay safe while preventing future epidemics. The curriculum included instruction on how to correctly use personal protective equipment (PPE), such as suits, masks and gloves. 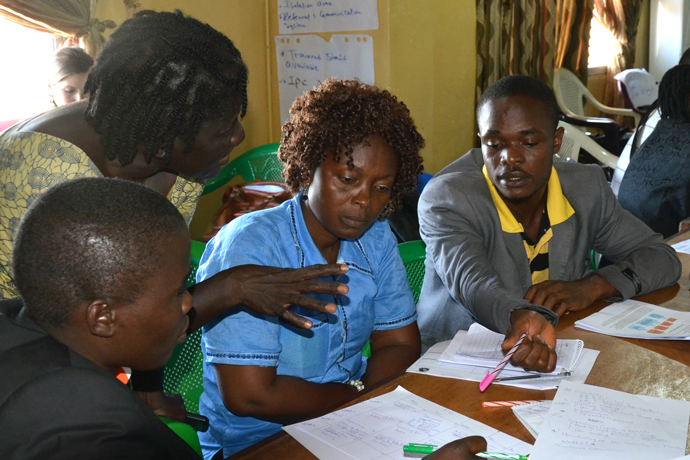 They, along with 19 colleagues, will take what they learned in Monrovia back to eight counties in Liberia to conduct their own trainings for county and district health teams. In turn, those trained will work together to conduct refresher trainings at county facilities and provide guidance and mentorship—all to make sure lessons learned are being practiced on a day-to-day basis. Think of it as a multiplier effect to make sure as many health care workers as possible get and maintain the skills needed to keep patients, and themselves, alive. The program aims to boost the IPC skills of more than 3,200 health care workers from hundreds of Liberian health care facilities. Dorbor knows firsthand how such skills can save a life. He cared for a dozen fellow health care workers who had been infected with Ebola — and then he looked after their patients, too. “I only had informal training in wearing and removing PPE, and no buddy to assist me, no one to disinfect me,” Dorbor recalled. But he knew the importance of his work and the value of keeping himself safe. Richard watched four nurses, including his own brother, die from Ebola. Then, the unthinkable happened—his wife became sick, too. The IPC training is part of a program funded by USAID’s Office of U.S. Foreign Disaster Assistance and led by Jhpiego—an international health nonprofit organization affiliated with Johns Hopkins University. Besides teaching correct use of PPE, the curriculum includes instruction on proper hand washing, disease screening, triage and isolation techniques and safe and dignified burial practices. A health system is only as strong as its workers. Richard and Dorbor, alongside the county and district health teams supported by Jhpiego and USAID, represent substantial momentum toward a stronger and better-prepared health system in Liberia. Kelly Dale is a Senior Program Coordinator with Jhpiego, a nonprofit organization associated with Johns Hopkins University that USAID is partnering with for the West Africa Ebola response. 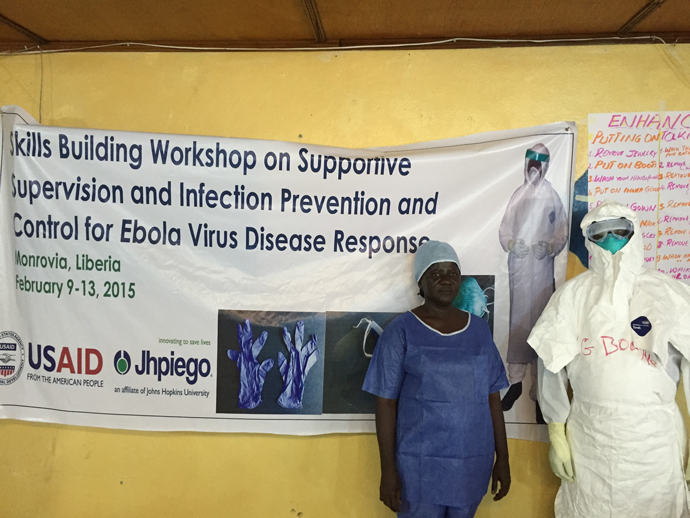 Learn more about USAID’s work on the Ebola response. Check out our most recent West Africa Ebola Fact Sheet. 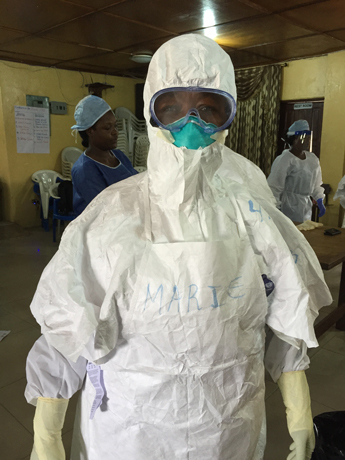 Read how we’re training the next generation of Ebola fighters. I admire these people who doesn’t get tired of helping Liberia and other country to start a new life after Ebola. I hope that Ebola Virus will not be a problem to the world again..